These conditions of Sale (“the Conditions”) supplied by NACD Ltd (“the Company”) to a purchaser (“the Buyer”) shall be incorporated into each contract (“the Contract”) made by the Company for the sale of the Company’s goods (“the Goods”). These Conditions apply to all transactions, including deliveries and services, conducted by the Company, as well as to their execution. These conditions together with invoice details supersede any terms or conditions proposed by the Buyer and may not be varied except with the written consent of a Director of the Company. 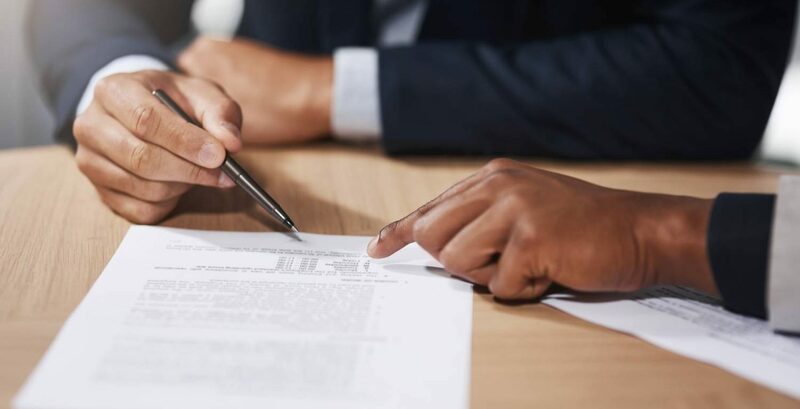 In the case of a written consent by a Director of the Company to a variation or deviation from one or more of these Conditions of Sale, the other terms and conditions shall remain fully operative. The Buyer shall indemnify the Company against all actions, claims, demands, penalties and costs by third parties in tort or for infringements of patents or registered designs or otherwise arising in connection with the Goods or with their delivery or unloading or with work done by the Company on the Goods in accordance with the Buyer’s specifications. Where the Company incurs any liability, whether by court proceedings or by a bona fide out of court settlement as a result of a claim against the Company under part 1 of the Consumer Protection Act 1987 in respect of an alleged defect in the Goods, then the Buyer shall indemnify the Company against the liability. (a) Delivery shall take place when the Goods are delivered at the address specified in the Buyer’s order or in the absence of such address at the Buyer’s premises except when the Buyer collects or arranges collection of the Goods from the Company’s premises, or nominates a carrier for the Goods, delivery shall take place when the Goods are loaded on to the collection or carrier¹s vehicle. (b) Delivery dates mentioned in any quotation, order or other document are approximate only and not of any contractual effect. Late delivery or performance does not entitle the Buyer to do any of the following: reject late goods, terminate the contract or withhold payment of any part of the contract price. (c) The Company reserves the right to make delivery by installments and to tender a separate invoice in respect of each installment. Each delivery shall be considered a separate transaction and the failure of any one delivery shall not affect the performance of the remainder of the Contract or liability for the costs of the Goods delivered. (a) The Buyer shall upon delivery or, on collection by the Buyer if appropriate, inspect the Goods wherever it is possible to do so. If inspection is impossible, the Buyer must write on the delivery (or collection) note “Goods not examined”. (b) The Buyer shall notify the Company in writing of any short delivery, defects or damage reasonably discoverable on careful inspection within 7 days of the Buyer’s receipt of the Goods. In the absence of such notification, the Company excludes all liability in respect of short deliveries, defects or damage. (a) Prices quoted are in GBP Sterling and exclusive of VAT (where applicable) and do not include any charge for handling or delivery of the Goods. (b) All prices quoted or printed are subject, to alteration without notice by the Company, and all Goods will be invoiced at the prices ruling at the date of despatch. (c) Where orders are received for quantities or shipments that are priced at less than the minimum charge of the Company, then the order will be priced at the standard charge. (d) All tenders, quotations, offers and estimates made by the Company are given without obligation. (a) Where accounts have been approved for credit, payment terms are nett monthly. (b) The Company reserves the right (in the Company’s absolute discretion) to vary or withdraw without notice any credit arrangements made. (c) The Company reserves the right to charge interest at the rate of 2% per month on all overdue accounts without prejudice to its right of recovery of the Goods. Interest is deemed to accrue on a day to day basis from and including the date when payment was due. (d) Without prejudice to any other rights or remedies of the Company, any default by the Buyer in making payment according to the payment terms, shall entitle the Company to suspend deliveries under the Contract or any other contract so long as the default continues and to treat the Contract as repudiated by the Buyer and determined if the Buyer has not, within 7 days of receiving written notice from the Company, paid all sums due to the Company. (e) If the Buyer shall have a receiving order made against them, or enter into any composition or arrangement with their creditors, or if being an incorporated company shall have a receiver appointed, or shall pass a resolution for winding up or a court shall make an order to that effect, or if there shall be any breach by the Buyer of any terms or conditions hereof, the Company may, without prejudice to its other rights or remedies, defer or cancel any further deliveries. (f) The Company reserves the right to demand security for payment at any time before continuing with or delivering any order. (g) All payments are to be made in GBP Sterling. Before title has passed to the Buyer and, without prejudice to any of its other rights, the Company shall have the unqualified right to recover or resell the Goods or any of them and may enter upon the Buyer’s premises or any premises where the Company reasonably believes the Goods to be situated, by its servants or agents for that purpose. Should the Buyer alter the Goods by subjecting them to any manufacturing process or incorporating them into another product or mixing them in any way, then the resulting product (“Altered Goods”) will pass into the ownership of the Company until payment due under all Contracts between the Company and the Buyer has been made in full. (a) The Goods will be held by the Buyer as bailee and the Goods shall be kept separate from the Buyer¹s other Goods and shall be clearly identifiable as belonging to the Company. (b) In the event of the sale or hire of the Goods or Altered Goods by the Buyer, the Buyer shall hold the proceeds of such sale or hire as trustee for the Company. (c) In the event of the sale or hire of the Goods or Altered Goods by the Buyer in the ordinary course of its business, the Buyer shall assign its rights to recover the selling price or hire charges from the third parties concerned to the Company, if required to do so in writing by the Company. (e) If the Buyer commits any act of bankruptcy or becomes unable to meet its debts within the meaning of Section 123 of the Insolvency Act 1986. Whereupon the Buyer shall continue to hold the Goods as bailee for return to the Company and the Company shall have the unqualified right to enter upon any premises where the Company reasonably believes the Goods or Altered Goods to be situated to take possession of the Goods or Altered Goods or such of them as remain. (b) The Goods are fit for his/her purpose in reliance on his/her own skill or judgement, and that he/she has not relied for this purpose upon the skill or judgement of the Company unless specifically agreed otherwise in writing between the Buyer and the Company. All weights, measurements, dimensions, drawings, capacities, specifications and other particulars contained in photographs, catalogues, price lists or advertising material are approximate and any other information or technical assistance given by the Company is given in good faith and is for general guidance only. No information supplied by the Company constitutes a warranty, guarantee or recommendation of the suitability of the Goods for any purpose whatsoever. If Goods are supplied in accordance with the Buyer’s specifications, the Buyer shall be solely responsible for the specifications. The Buyer acknowledges the Goods are fit for the purpose in reliance on his/her own skill and judgement and that he/she has not relied for this purpose upon the skill or judgement of the Company and the Buyer will indemnify the Company against all claims by the customers of the Buyer and Sub-Buyer in this regard. (a) Goods cannot be accepted for return without the prior consent of the Company and must be in strict compliance with the Company’s returns procedures. A 20% handling charge will be made on all returns (Company errors and omissions excepted). Carriage charges will be extra. (b) No special orders and/or bespoke products can be accepted for return. (a) If the products are not listed in the NACD catalogue or other NACD literature. (b) If due to the functionality of a system non-standard components are used to offer a tailored solution. (c) If the product is manufactured specifically to customer requirements. (a) Additional written authorisation is required when special orders or bespoke items are purchased. If within the guarantee period of a product any defect is discovered in respect of workmanship, construction or material, the Company will make good the defect or replace the defective part at its expense inside normal working hours at the Company’s premises providing, written notice is given immediately the defect is discovered and that, if required by the Company, the part or complete unit is returned to the Company’s premises carriage paid. Spares or repaired parts are delivered ex works exclusive of fitting. The guarantee does not apply to defects caused by incorrect installation, abnormal conditions of working, defective walls/pillars/buildings/constructions, accidents, misuse or neglects. The guarantee period for new product supply only or, new product supply with installation by the Company, is for 12 months starting from the date of Company’s invoice. The Company’s responsibility is in all cases limited to the cost of making good the defect or replacing the defective part at the Company’s premises inside normal working hours. The Company excludes all liability for any consequential or other damage or losses which may occur. All contracts to which these conditions apply shall be governed by and construed in accordance with English Law.